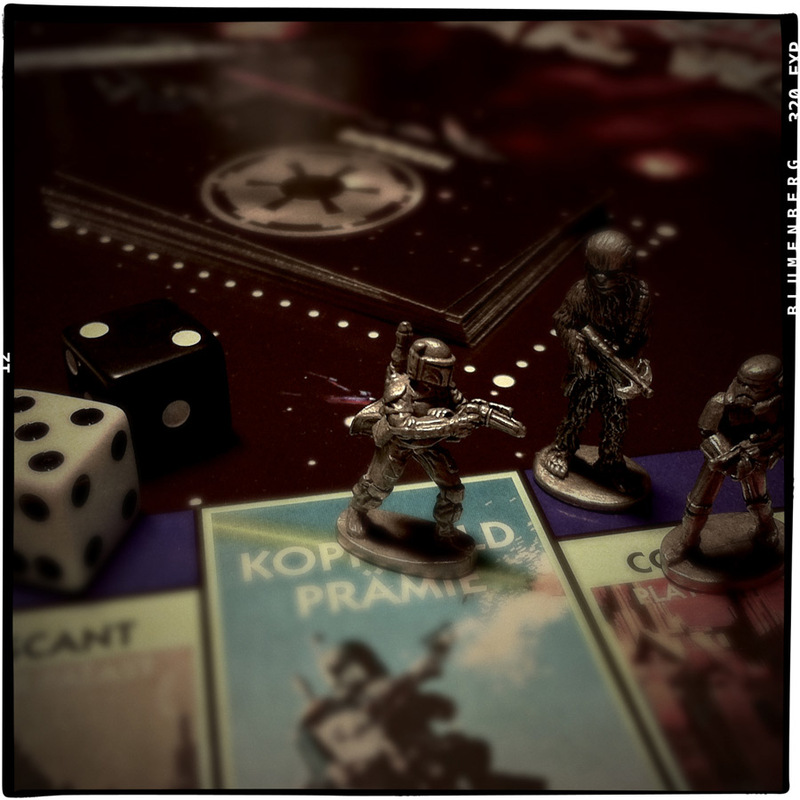 Fourteen years ago I bought the Star Wars Monopoly and today was the first time the board game was freed from dust and played – the premiere. After some hours we had to crown the winner: 1st place did the young rookie Stormtrooper (N.) with a possession of 75.780 Imperial Credits incl. all 4 spaceships (X-Wing Fighter, TIE-Fighter, Star Destroyer and the Millennium Falcon), Hoth, Yavin Four, Dagobah, the Moisture Farm and the Reactor Core, 2nd was Boba Fett (Y.) with a possession of 48.060 Imperial Credits incl. Tatooine, Coruscant and the Death Star, and on the 3rd and last place Chewbacca (T.) with a possession of 32.740 Imperial Credits incl. Bespin and Endor. Oh, I forgot … the answer for the question about «Star Wars and Capitalism» could be answered maybe by the book «Culture, Identities and Technology in the Star Wars Films». I didn’t read it — yet. I hate Jar-Jar Bings but I love Boba Fett, and this is awesome — and there is even a Star-Wars-Theme-Reggae track at the end (→ 04:15), yay! AT-AT day afternoon from Patrick Boivin.